Shankar’s Ai has been the most anticipated film this year without any shred of doubt for the magnificent scale of film-making involved. The music by AR Rahman is eagerly awaited by his fans. 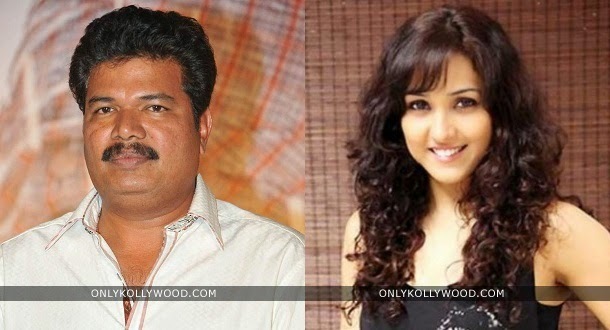 The latest news is that singer Neeti Mohan, a regular collaborator of AR Rahman in his live concerts, has recorded a song for the film and was sweetly surprised by director Shankar’s presence at the recording session. “When I came down to sing for Ai, I did not expect Shankar to be sitting in the office. He has worked hard on getting what he wants for the film and for the song. I remember thinking that this was the man who directed Sivaji and Robot,” gushes Neeti Mohan who made her Tamil singing debut in Ner Ethir. Satish Chakravarthy, a former student of AR Rahman, was the music composer of Ner Ethir.